With plenty of moving services, Meathead Movers is fully prepared to make Nuevo your new home. Our clean-cut student athlete movers are dedicated to fulfilling all your moving needs efficiently. 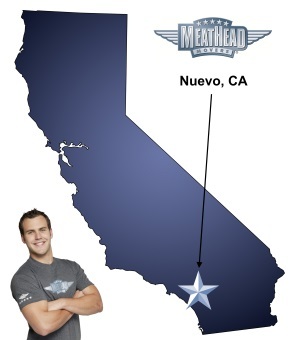 Meathead Movers wants to welcome you to Nuevo, a small community to the south of Lake Perris Recreation Area. If you are considering a move to this scenic area, Let Meathead Movers take care of the heavy lifting for you. Nuevo offers wonderful views of the snow-capped San Gabriel Mountains and consists of rolling hills and valleys. With less than 5,000 residents, Nuevo is the ideal place to escape the hustle and bustle of the big city. However, it’s just a 30-minute drive to Riverside if you want to experience a little more action. For those who love the outdoors, Nuevo is an excellent place to call home. With Perris Reservoir, Diamond Valley Lake, Lake Matthews, and Lake Elsinore all in the area, you never have to look far to find a good camping spot. If you enjoy hunting, the Upland Game Hunting Area lies just to the north. You can also take a Sunday drive to the south into Winchester and have a picnic at Double Butte County Park. No matter what outdoor activity you want to do, Nuevo offers something for everyone. If you are looking for a great place to raise a family, look no further that Nuevo. The city has great schools, such as Nuview Bridge Early High School and Mountain Shadows Middle School. On the weekends, take the kids to Canyon Lake and have a picnic or go bicycling. For those who enjoy golfing, drive for 13 minutes down to Menifee Lakes Country Club and play a round of golf. This city puts you at the heart of outdoor adventures, and our Nuevo movers want to help you move in and get settled so that you can experience everything this area has to offer. Meathead Movers is here to help you on your next move. Our moving company specializes in local, long-distance, and commercial moves to, from, and within Nuevo. We also provide reliable packing, storage, on-site relocations, and our distinctive moving concierge service, which connects you with local service providers. All our student-athlete movers are thoroughly screened and trained before their first move. With branches not just in Nuevo, but all throughout California, we are your one-stop resource for all your moving needs, no matter where your California move takes you. Moving to Nuevo? Here are some helpful resources.